It’s been nearly three years since Destiny launched, and since then, Activision’s MMO/FPS hybrid has taken the world by storm. While expansions and timed events have done an admirable job of extending the game’s lifecycle, fans have been eagerly awaiting the arrival of Destiny 2, which was officially announced by developer Bungie a few months back. While there are undoubtedly many details that Bungie has chosen to hold back in regards to the upcoming sequel, veterans of the original Destiny have been clamoring to find out exactly how their accomplishments will carry over into the sequel. Bungie isn’t divulging all of the secrets it has in store just yet, but the studio has teased a few details in a blog post from earlier today. 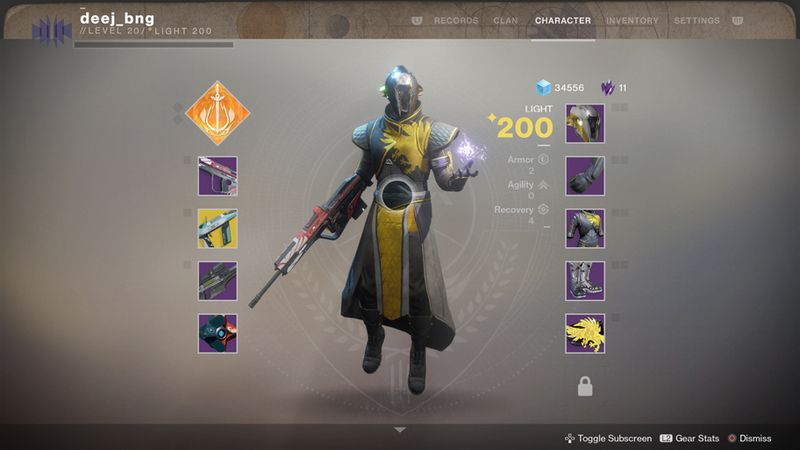 Specifically, Destiny 2 will feature an emblem system, which will include rewards for those who accomplished specific feats during the first three years of Destiny’s lifecycle. Of the seven available emblems, four of them are no longer attainable (as they’re unlocked from completing Moments of Triumph during 2015 and 2016), while the other three are still within reach. Laurel Triumphant – You completed a Moment of Triumph during Destiny’s first year. Laurea Prima II – You completed all 10 Moments of Triumph during Destiny’s first year. Slayer of Oryx – You owned The Taken King and completed a Moment of Triumph during Destiny’s second year. Heard the Call – You owned The Taken King and completed all 8 Moments of Triumph during Destiny’s second year. Young Wolf – You owned Rise of Iron and reached Rank 2 in the Age of Triumph record book. Saladin’s Pride – You owned Rise of Iron and reached Rank 7 in the Age of Triumph record book. If you’re looking to complete the remaining accomplishments in order to unlock additional emblems, it’s worth noting that Bungie will begin locking in character data on August 1, so players have until then to reach the appropriate ranks in the Age of Triumph record book, as well as achieving a high enough Grimoire score. Bungie has also announced that the final Destiny 1 era Iron Banner will take place on August 1, while the last Trials of Osiris will begin on August 11. Destiny 2 will release on September 6 on PlayStation 4 and Xbox One, with a Windows PC version to follow on October 24. Will you be picking it up? Let us know in the usual place!